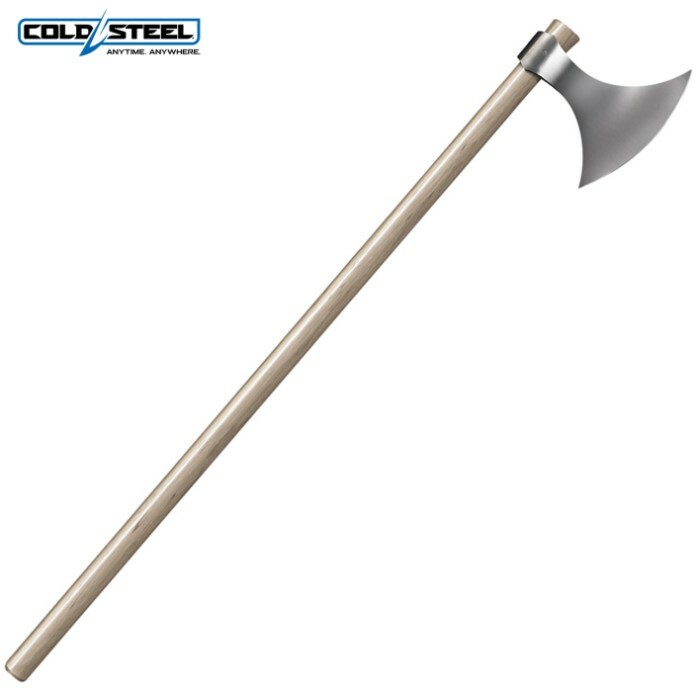 With the Cold Steel name behind it, you know that this 52" Viking Axe is battle ready and up for any challenge you can find. The 48" long hickory handle is smooth and offers a fierce grip to help you control the powerful axe head.True to its origin, the Viking axe's head is crafted of rock-solid 1055 carbon steel with a sharp edge. The 9-5/8" axe head has two fierce points that mean business. It's a weighty piece at 4 lbs. total. I initially wanted to take my smaller hand ax and sword on a recent raid. I'm glad I didn't this is a nice ax of durable strength and sharpness. By Valhalla I would take this anywhere.